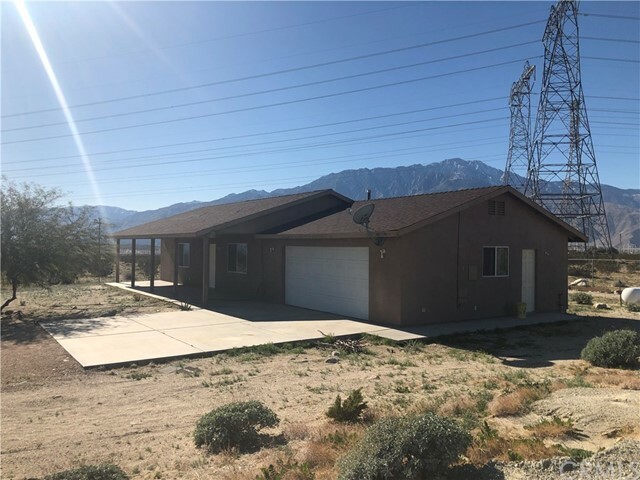 All North Palm Springs homes currently listed for sale in North Palm Springs as of 04/21/2019 are shown below. You can change the search criteria at any time by pressing the 'Change Search' button below. If you have any questions or you would like more information about any North Palm Springs homes for sale or other North Palm Springs real estate, please contact us and one of our knowledgeable North Palm Springs REALTORS® would be pleased to assist you. "HUGE PRICE REDUCTION!!! What an opportunity to own 2 homes on one lot, sitting on 2.2 acres of land. Each home sits on 1/2 acre with another 1.2 acres of vacant land to the left of the second house. You could live in one and rent out the other or use the second home to run a business, or build a warehouse on the other 1.2 acres!!. The main home has 3 bedrooms and 2 baths. All the rooms have ceiling fans! There is a permitted addition to the first home adding a really large and bright living room"